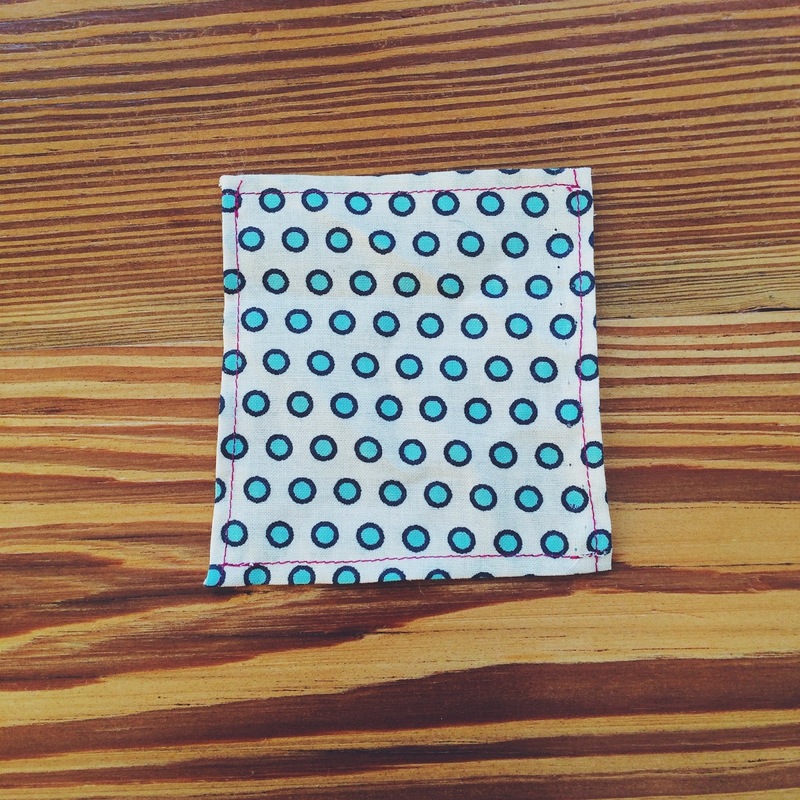 Make it: put a pocket on it! First of all! Happy Marathon Monday to all Bostonians aka Patriot's Day. When I was a kid I thought everyone knew that the Boston Marathon was a holiday, nope turns out just us lucky folks here in Beantown. It was a beautiful day here for all of the runners and I admire their strength and tenacity. Oliver and I rode our bike to a parade in Arlington and then continued on to lunch in Harvard Sq. It really feels like Spring here today, I may even have to bust out the sunscreen for our park play time this afternoon. 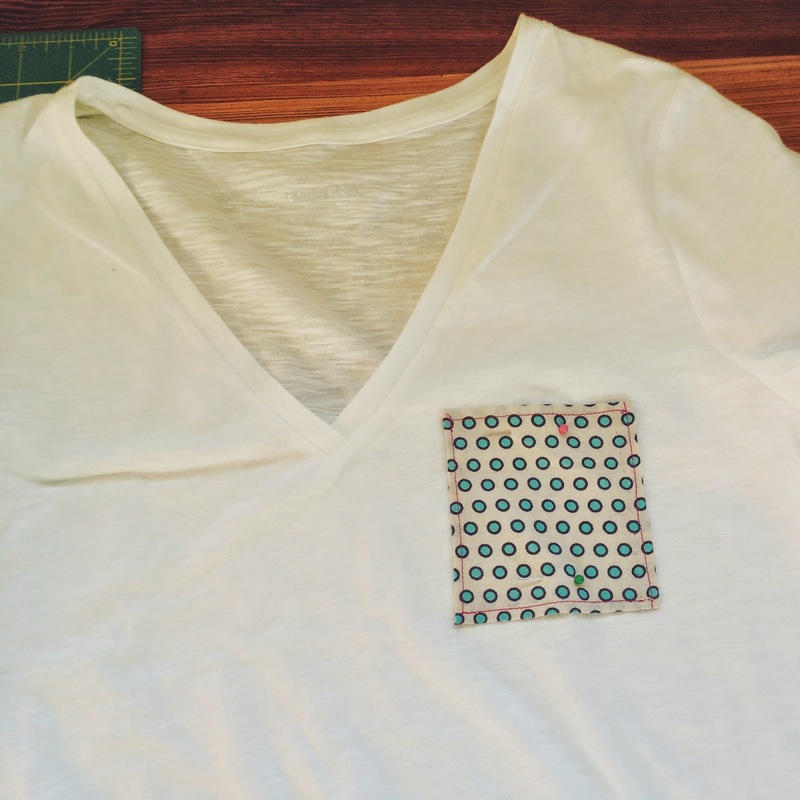 But I thought I would post this cute and easy craft to jazz up a plain t-shirt. Put a pocket on it! It really is that simple. 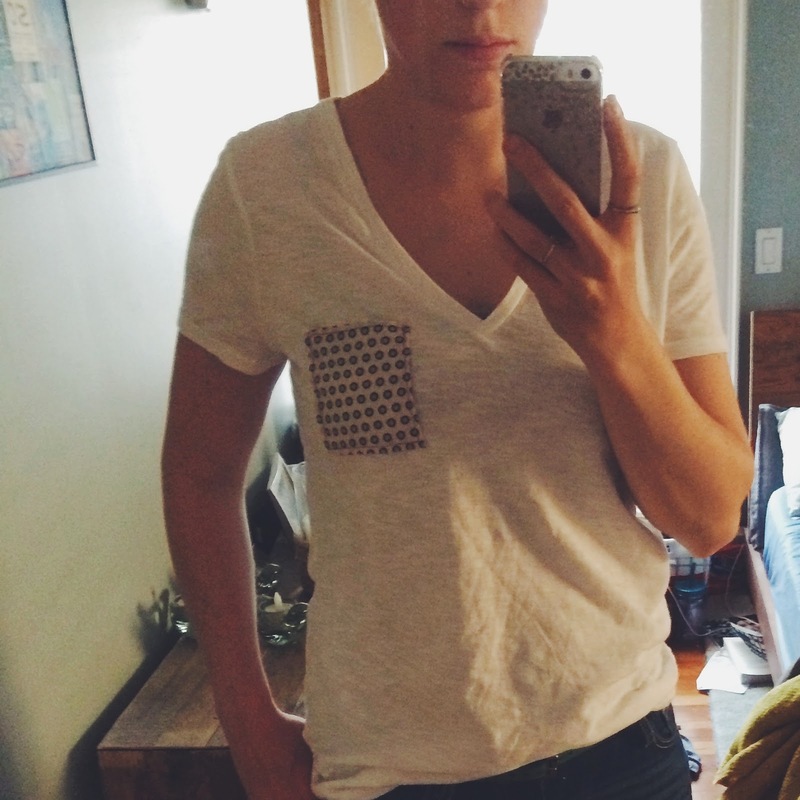 I started with some cute polka dotted scrap fabric and a white Target t-shirt. Stitch a square and then pin it to your shirt and finally stitch the pocket to the shirt and presto-chango you have gone from ordinary to unique! I did this craft while Ollie napped and I have not taken it off yet...I may just wear the shirt for the rest of the day! 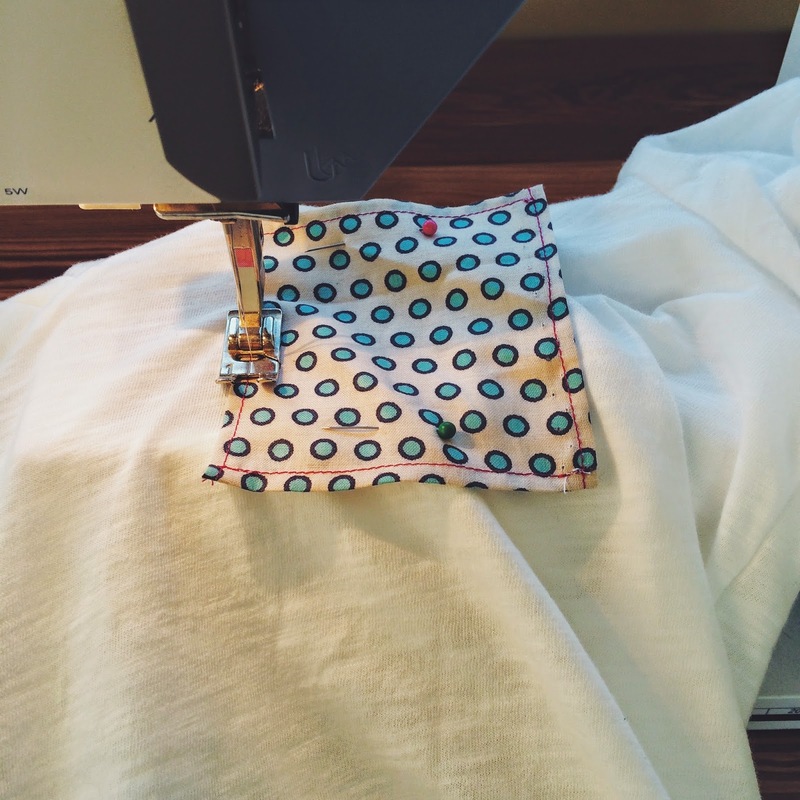 So grab your plain t-shirts and fabric scraps or buy some fat quarters and get stitching! Enjoy. 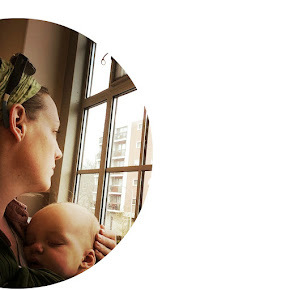 see super easy to do! and so cute! 5 miles up...5 miles down. whimsical-girl. all rights reserved.template by Don't Tell Anyone Arts. Powered by Blogger. Copyright @ Ellsworth & Sylvan. Design by MangoBlogs.